On Monday afternoon, nursery had a special visitor, Mrs Asquith. 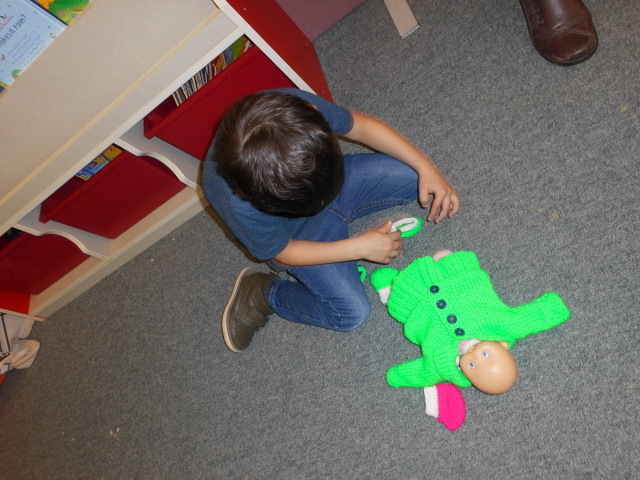 She had kindly contacted school to offer to knit some dressing-up clothes for our dolls. In a very short time she had made a whole wardrobe of clothes and she brought them in to us and explained how she loved knitting and did a lot for charity. 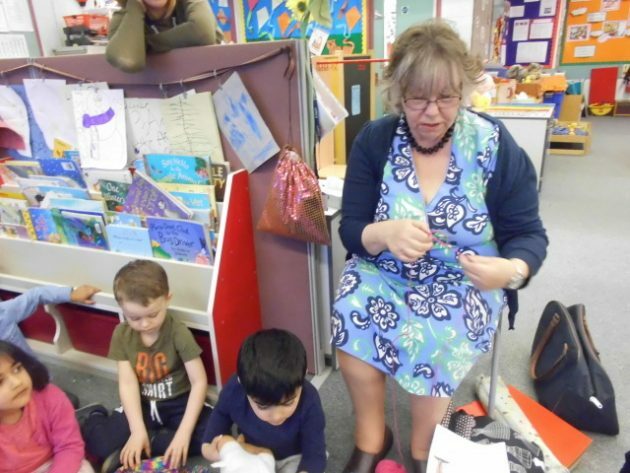 She then showed the children how to knit – they were fascinated. A big thank you to Mrs Asquith.